Erasure can manifest through strategies of elimination, cleansing, or effacement as aesthetic practice, or it might instead emerge in issues surrounding medium, as in the ephemerality of site-specific or performative work. It can likewise be invoked through cartographic, historiographic, or archival omissions, or as a result of natural and man-made disasters or iconoclasm. Yet it is imperative not to neglect erasure’s productive and emancipatory potentials. 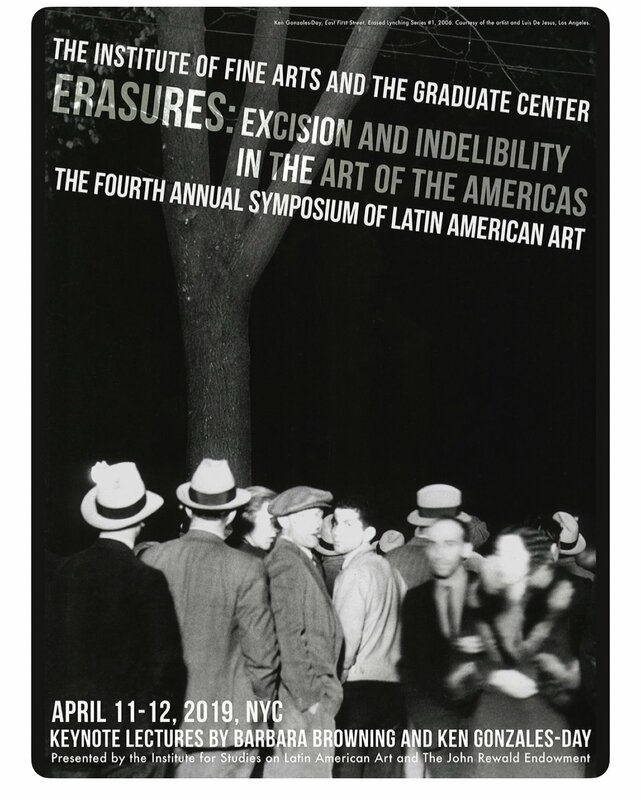 Through broad and interdisciplinary contributions from a diverse group of scholars, the symposium will promote conversations about the risks, rewards, and knowledge that arise when absence comes into contact with socio-political realities. Beyond physical and spatial considerations, we must also interrogate history and the void that is left by historical silence, highlighting the unsaid, the unspoken, and the invisible.